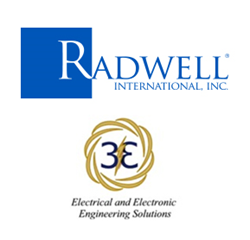 3E Services is now Radwell International, Inc.
Radwell International, Inc. continues to expand its global reach. Radwell offers its customers more options, both domestically and globally, for their industrial automation needs which includes repair services for Schneider Electric, SICK, Omron, Baldor, Siemens, Fanuc and 1,000's of other manufacturers. Radwell has facilities in New Jersey, Indiana, North Carolina, Texas, Missouri, the UK, Canada, and now Georgia. Radwell International, Inc. is dedicated to offering its customers more options, both domestically and globally, for their industrial automation needs. We are pleased to announce that Radwell International has acquired 3E Services of Tucker, Georgia. Radwell is also known as “PLCCenter” and is the world leader in industrial repair, surplus, factory new supply, and asset recovery. It is our goal to continue to support and invest in 3E’s Team and Customers. All of 3E’s Customers can expect to receive the same great personal service that they have enjoyed in the past from 3E Services, with enhanced product and service offerings backed by the worldwide resources of Radwell International. In addition to our international web presence, Radwell has facilities in New Jersey, Indiana, North Carolina, Texas, Missouri, the UK, Canada, and now Georgia.